New Directions Publishing Corporation, 9780811222860, 83pp. 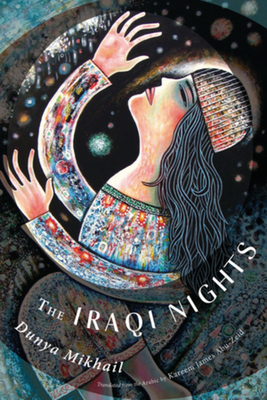 The Iraqi Nights is the third collection by the acclaimed Iraqi poet Dunya Mikhail. Taking The One Thousand and One Nights as her central theme, Mikhail personifies the role of Scheherazade the storyteller, saving herself through her tales. The nights are endless, seemingly as dark as war in this haunting collection, seemingly as endless as war. Yet the poet cannot stop dreaming of a future beyond the violence of a place where "every moment / something ordinary / will happen under the sun." Unlike Scheherazade, however, Mikhail is writing, not to escape death, but to summon the strength to endure. Inhabiting the emotive spaces between Iraq and the U.S., Mikhail infuses those harsh realms with a deep poetic intimacy. The author's vivid illustrations -- inspired by Sumerian tablets -- are threaded throughout this powerful book.